When will be Bringing Up Ballers next episode air date? Is Bringing Up Ballers renewed or cancelled? Where to countdown Bringing Up Ballers air dates? Is Bringing Up Ballers worth watching? Peytyn, Nikki, Johanna and Heather are Chicago mothers who are raising future NBA players while running their own businesses; Peytyn tries to keep her son close to home; tension rises between Nikki and Johanna. Nikki's friend Tiffany does not get the welcome she hoped for from Johanna; Heather's oldest daughter gets ready for prom, leaving Heather's ex-husband and boyfriend to get acquainted; Tiffany's son plays on a team against Nikki and Johanna's sons. Nikki sets up a press conference to announce what high school her son will attend, creating a rift in her friendship with Johanna; Peytyn decides to keep a school offer secret from George; tensions boil over between Nikki and Johanna. Heather and Nikki collaborate on a joint graduation party for their children; Peytyn confesses her feelings for her son's coach; Johanna crashes Heather and Nikki's graduation party; George commits to a school. Peytyn and Heather attempt to reunite Nikki and Johanna; Tiffany's fellow suburban basketball mother, Catrina, and her son come into the scene for Nikki's 3-on-3 Charity Basketball Tournament. Peytyn deals with her feelings as George prepares to leave for college; Nikki and Johanna reconnect while working together to sell Peytyn's home; Tiffany, Catrina, Johanna and Nikki gear up for the End of Summer Showcase. 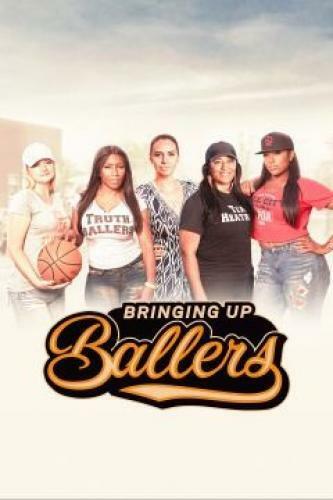 Bringing Up Ballers next episode air date provides TVMaze for you. EpisoDate.com is your TV show guide to Countdown Bringing Up Ballers Episode Air Dates and to stay in touch with Bringing Up Ballers next episode Air Date and your others favorite TV Shows. Add the shows you like to a "Watchlist" and let the site take it from there.